Computer Tricks Recieve Your E-Mails via Phone...!!! Recieve Your E-Mails via Phone...!!! 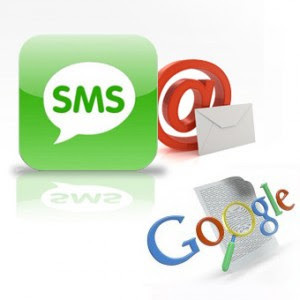 >>Here is a trick to retrieve all your incoming mails in your cell-phone..!! >>If you don't want to miss any of your important E-mails, then use this trick to get all your E-mails or Selected E-mails directly to your phone inbox. This trick is using the facility E-mail Forwarding and its available in all E-mail Service providers. >>Now you will be receving all mails in your phone..! !